Feeling blue? Seeing red? Green with envy? 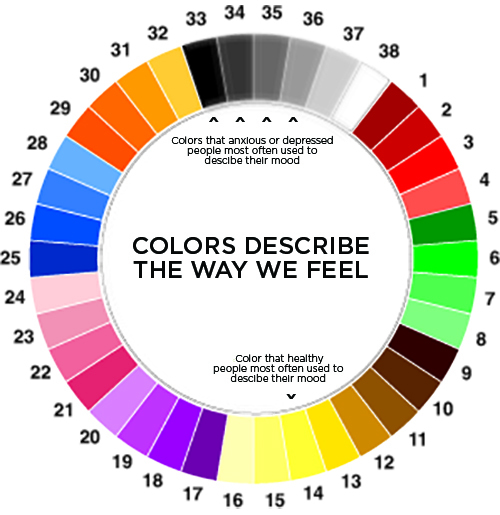 There is more to the colors you use to describe emotions than you think, according to research published Feb. 8, 2010 in the journal BMC Medical Research Methodology. The many moods people experience vary just about as much as the different colors people tend to use to describe their moods. 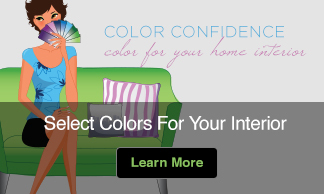 The study did find, however, that some moods were more likely to be associated with some colors than others. People with anxiety or depression were much more likely to associate their mood with the color gray. Happier people preferred yellow to describe their mood. These findings provide doctors with a visual tool that could be used by patients who have trouble communicating verbally. 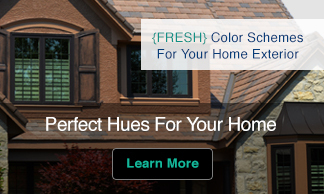 Positive and negative ratings for each color by healthy volunteers. 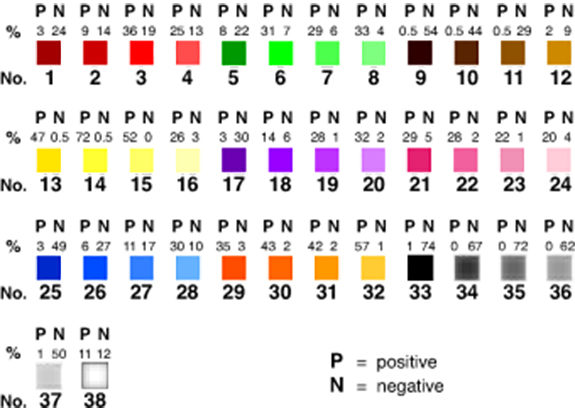 The percentage of healthy volunteers who rated each color on the ‘Color Wheel’ as either positive (P) or negative (N) is shown. For example, 72% of participants rated Yellow 14 as positive whereas 0.5% rated it negative in contrast only 1% of volunteers rated Black 33 as positive whereas 74% rated it as negative.